Bill Clinton might have freed Jonathan Pollard in 2000 if Jewish Senators had stood up for him, Prof. Alan Dershowitz said Monday. Bill Clinton might have freed Jonathan Pollard in 2000 if Jewish Senators had stood up for him, civil rights lawyer Prof. Alan Dershowitz said Monday. The renowned lawyer and Harvard professor said that he had talked with Bill Clinton, who was towards the end of his term of office in 2000, about freeing Pollard. “Clinton told me, ‘How can you expect me to release Jonathan Pollard when your own senators wrote me a letter not to release him?” Dershowitz revealed. Clinton came very, very, very close to doing it [freeing Pollard],” Dershowitz said Monday, “There were threats by the heads of the CIA [Central Intelligence Agency] and others. The intelligence establishment is very strongly against the release, but in recent months there has been a change. The dynamics have changed in his favor." 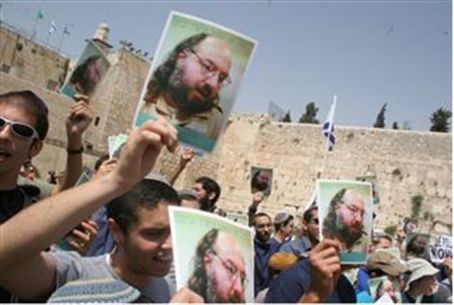 Pollard was sentenced to life imprisonment 26 years ago for passing on to Israel classified information, an offense that usually carries a maximum punishment of two to four years in jail. The case is emotionally charged for many Americans, who are extremely sensitive to Americans they consider to not be patriots. Pollard is usually referred to incorrectly in American media as a spy.